Anyone who has enjoyed Paddington on the page is sure to love these animated adventures from Time Life Kids. On this DVD set Time Life Kids brings you 14 animated adventures. 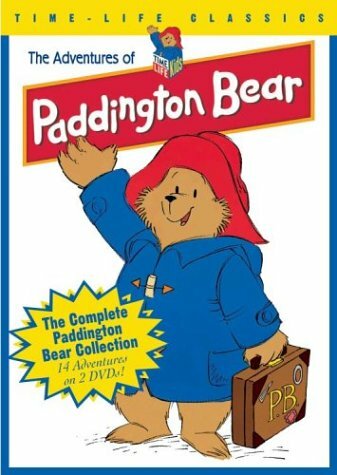 Each adventure includes 3 complete Paddington Bear stories - 42 stories in all in this great set. Adventures include: Paging Dr. Paddington, Paddington's Birthday Dinner, Paddington's Treasure Hunt, Paddington's Big Beach Adventure, Paddington Turns Detective, Howdy Paddington!, Paddington Tees Off, Paddington Goes to School, Paddington's Magical Birthday, Paddington Goes Fishing, Paddington Blasts Off, Paddington's New Room, Paddington's Snowy Day and Paddle Away, Paddington.